The following 15 Egan Activity Packets were prepared for the Egan Celebrations by Candee Robinson. This packet celebrates Howard’s Irish beginnings. Itcontains a little of his early history, the origins of the Egan clan, fun Irish facts, Irish games, a recipe for Irish treats, an Egan coat of arms activity, and even a newly-written Egan anthem to sing as an opening or closing song. Click–HERE to “download” .jpg of the packet. Click–HERE to “download” PowerPoint of the packet. This packet contains a brief history of Howard’s sailing and rope making days, including his marriage to Tamson Parshley. It is full of fun sailor facts, knot tying activities, fun family games, a page of sailor pictures, quotes, jokes, treats, and even a family sailor song. At age 27 Howard and his wife, Tamson, joined the Mormon Church. To ignore this part of his life would be to erase his travels, adventures, loyalties, friends, marriages, and children. This packet shares this part of his history, along with pioneer games, pioneer crafts, pioneer treats, and even a fun family pioneer song. The next elephant in the room: polygamy. Howard had four wives and nine children. This packet looks at Howard’s expanding family and pioneer family life. It includes family songs, family building activities, and a recipe for Irish potato candy. Howard was at the heart of the forced Mormon exodus, and was selected as one of the 144 men to find the Saints a home in the West. This family packet shares the story, fun pioneer games and activities, a song about pioneers, and a recipe for Johnny Cakes. The Mormons had been forcibly driven out of Ohio, Missouri, and now Illinois. 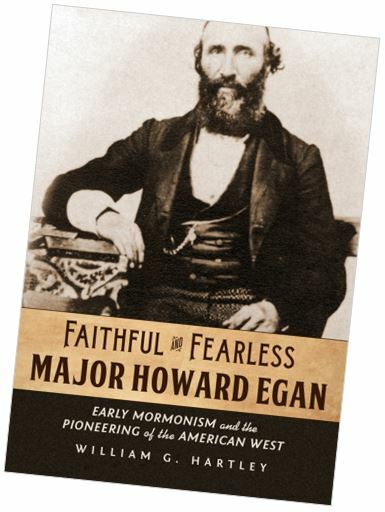 Because there were constant threats on the lives of Church leaders, Howard Egan was one of those asked to guard Joseph Smith, and then Brigham Young. This packet shares stories, songs, and activities about those assignments. The Nauvoo Legion was formed to defend Nauvoo and surrounding Mormon areas from growing mob violence. 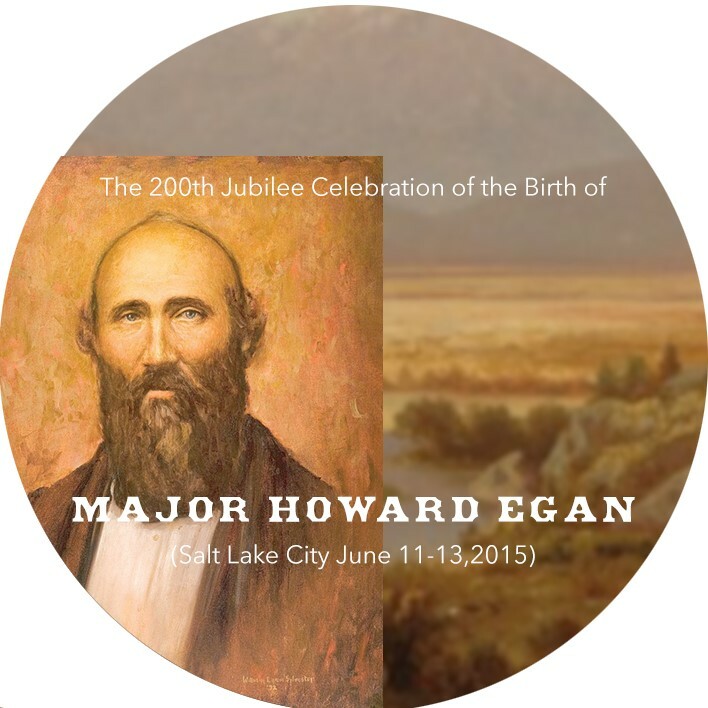 Egan was made a Major in the Legion, and later served in the Utah War. This packet commemorates his experiences as a soldier, with interesting stories, daring games, fun activities, and a patriotic song. Having been driven from their homes, farms, and businesses without compensation, the Mormons were in need of currency to buy supplies. Major Egan was asked to set up a trading post in the gold fields to raise funds. This packet explores the gold rush and Howard’s gold rush activities, with stories, songs, and games. Howard started many businesses, but the one he ran for the longest period of time was raising cattle and driving them to market. This packet explores his cattle activities and the accompanying role of trail blazer. This fun packet includes cowboy history, stories, songs, activities, and treats. 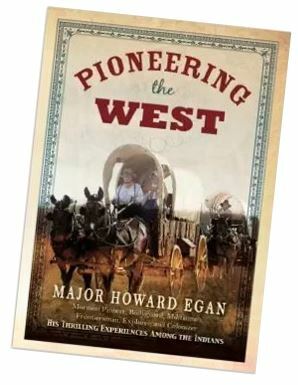 Howard Egan is best remembered for his Pony Express experiences, even though they were the shortest segment of his life. This packet explores Egan’s exciting mail delivery days, with Pony Express history, facts and fiction, games, songs, and treats. From 1869 to 1874 Howard joined scores of others staking mineral claims just 23 miles from his homestead in Deep Creek. This packet contains Howard’s mining history, and includes mining songs, mining games, mining activities, and a recipe for Miner’s Chili. Howard’s travels throughout the West put him in regular contact with various American Indian tribes. He had many friends among the Gosiutes, learned their language, and was their advocate in dealing with Indian agents. This packet shares Howard’s Indian history plus Indian traditions, songs, games, and treats. Howard was called on two missions for the LDS Church. One as an electioneering missionary campaigning for Joseph Smith’s candidacy for the Presidency of the United States. The other as a missionary to the Gosiute Indians. This packet shares Howard’s missionary history and related games, activities, and treats. Howard was asked to be a policeman and help guard the public peace, both in Nauvoo and in Salt Lake City. 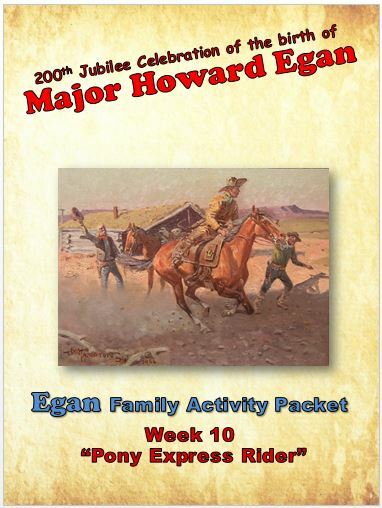 This family evening packet provides the history of Howard’s police activities, and includes lawmen stories, activities, and games for the family. Howard was often asked to guard Church leaders, Church friends, and Church assets. This Activity packet explores his role as a trusted guard, with interesting personal history, and with an evening full of stories, games, activities, crafts, and snacks.